Fanboy rage isn’t new; the console wars have been raging for forty years. We look back over the history of the industry and ask: who won? This is part one of a series, covering the earliest skirmishes; the later engagements will be covered later in the week. Nintendo was already in the industry by 1977. The Color TV-Game series each supported just one game each, and ranged in price from the equivalent of about $100 to $550 in today’s terms. The series was a major success in Japan with 3 million unit sales. 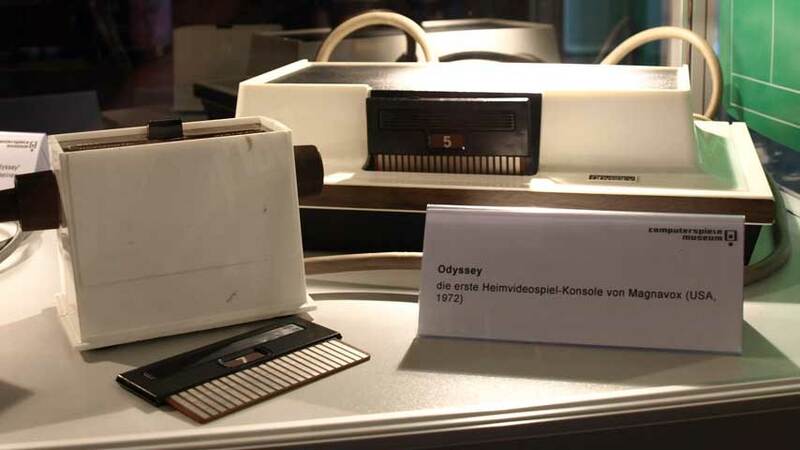 The first generation of home consoles kicked off in 1972 with the Magnvox Odyssey. This $100 beast was breathtakingly expensive, the equivalent of over $500 today, but with a collection of games accessed by swappable cartridges, it was a mind-blowing bit of tech. It shifted over 300,000 units, and a series of single-game dedicated consoles followed. The Odyssey was the last console to support multiple games for quite some time, and the next major console to follow it was Atari’s Pong, a collaboration with Sears, which went for close to $100 and sold 150,000 units. Coleco’s Telstar was a major rival. At $50, it was significantly more affordable, which probably explains the million-plus sales it totted up – although the fact that it spawned a long list of different models, each boasting a slightly different collection of games (mostly variants of Pong) might have helped. It also benefited from a 1976 launch, years after Magnavox had helped built a market and appetite for video game consoles. You may be surprised to learn that Nintendo was already in the industry by 1977. The Color TV-Game series each supported just one game each, and ranged in price from the equivalent of about $100 to $550 in today’s terms. The series was a major success in Japan with 3 million unit sales. First-generation consoles did not have microprocessors. Their graphics were extremely limited, with mostly monochrome, simple shapes only, and play confined to a field defined by one screen. Additionally, while some machines supported multiple games via swappable cartridges, none of these were true, readable media in the way we understand it today. So who won? Well, that’s debatable. The Color TV game had the highest unit sales but never made it outside Japan. The Coleco Telstar was the highest-selling western release. But the Magnavox Odyssey is the one that’s stuck most firmly in memory. Draw. Mattel’s Intellivision is an interesting prospect. Made by a toy company, it ought to have been a nasty cash-grab affair, but was actually one of the higher quality consoles of the generation. The market reacted accordingly. The second generation of video games consoles overlapped considerably with the first. The major differences were the addition of microprocessors – giving consoles a “brain” as it were – as well as multiple colours, sprite-based graphics and multiple play fields (although scrolling wasn’t possible; fields flipped). The first 8-bit consoles to hit the market, second-generation video game consoles were the first to support multiple games via ROM cartridges. Everyone wanted to jump on video games at this point, with the result that the market flooded with options and a baffling array of variants. We’ll only look at a handful of main contenders. The ColecoVision was a departure from the Telstar series Coleco had enjoyed success with during the past generation. Launching in 1982, this was the console you bought if you were serious about arcade games, as it was capable of impressively accurate recreations of the experience found on dedicated cabinets. Its cute twist controller took a backseat to its brilliant library of games; it came with Donkey Kong as a pack-in and boasted 145 cartridges. It racked up something over 2 million sales, despite a hefty $200 price point (over $480 in today’s terms). Mattel’s Intellivision is an interesting prospect. Made by a toy company, it ought to have been a nasty cash-grab affair, but was actually one of the higher quality consoles of the generation. The market reacted accordingly, affording it over 3 million sales in response to the catalogue of 125 games, many of which are classics today. How high would that figure have climbed if the Intellivision didn’t cost $299, which in 1979 was the equivalent of over $850? Holy moly. Magnavox Odyssey² launched in 1979 as the first major console successor to hit the market. It built strongly on the original Odyssey’s strengths, but it didn’t have the graphics grunt to compete with contemporary releases. It was another astoundingly expensive offering at $200, which would be more than $720 today. Atari actually released two widely-recognised consoles during this generation. The Atari 2600 hit the market in 1977 for $100 (again, over $770 in today’s terms) and went absolutely gangbusters, racking up tens of millions of sales. Its influence on the future of video games cannot be over-estimated – and not for entirely positive reasons. So who won? There’s not really any argument here. The Atari 2600 sold so powerfully that for a while the word “Atari” was used generically to mean any video game or console. It also wins the wooden spoon award, though, for crashing the entire industry. Read on for more on that. Having arrived as a pastime with mainstream recognition and serious selling power, video games underwent a tremendous crash, becoming virtually worthless almost over night. The problems began in the late 1970’s when less popular consoles were sold off at at a loss, bombing the North American market. 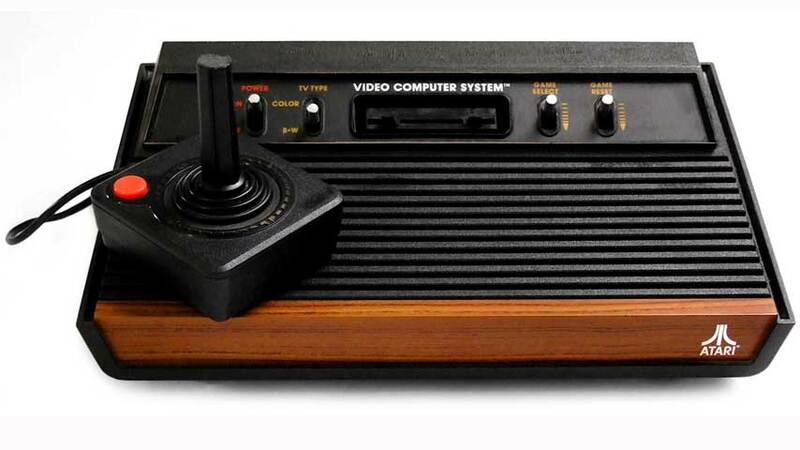 The industry struggled on, revitalised by the overlapping second generation of games, so that by 1980 things were back on track, and Atari in particular was absolutely minting it despite the Atari 2600’s inferior specs. 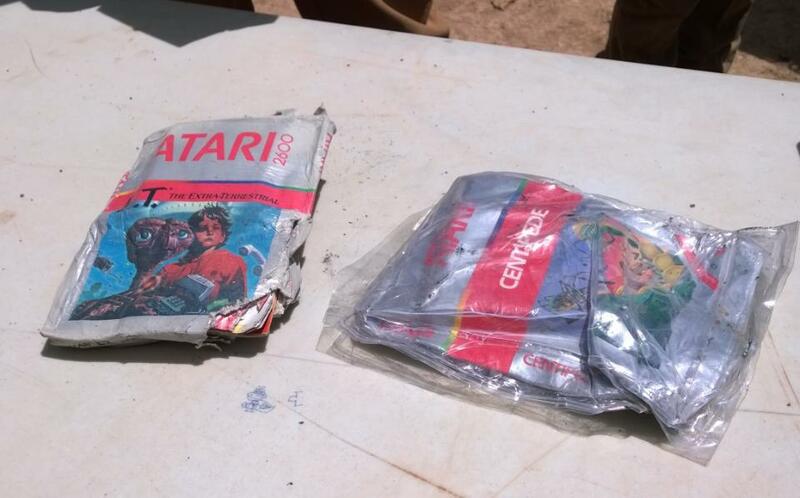 Sadly, Atari’s tendency to throw enormous marketing resources at inferior products – the appallingly cheap and nasty E.T. is the famous example – absolutely destroyed consumer confidence. By 1983, the bubble had burst spectacularly. Only Intellivision survived in the west. On the next page: The third and fourth generations, plus accompanying handhelds.